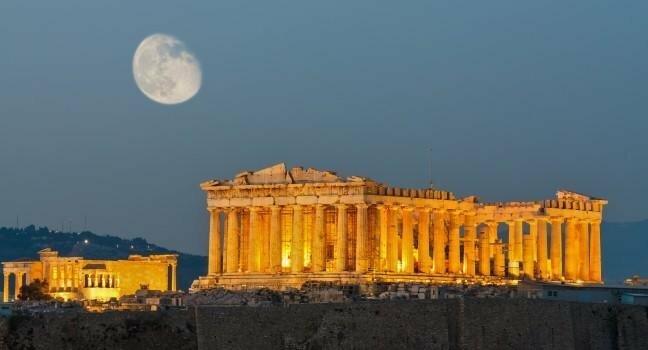 Athens; discover the ancient wonders of this city known as the cradle of Western Civilization and the birthplace of democracy. 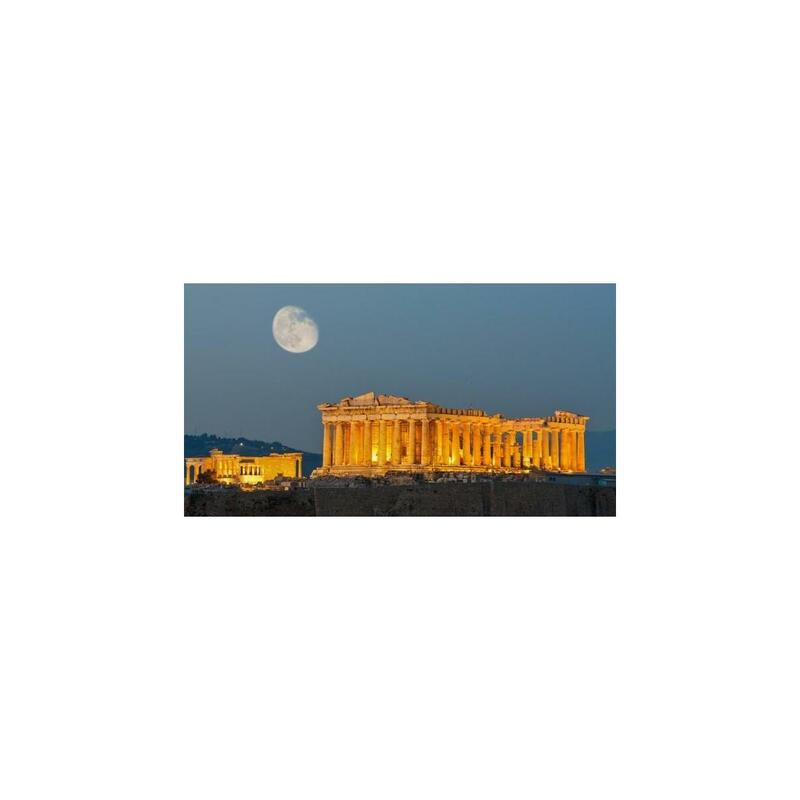 Visit the Acropolis, the ancient architectural masterpiece built during the Golden Age of Athens. 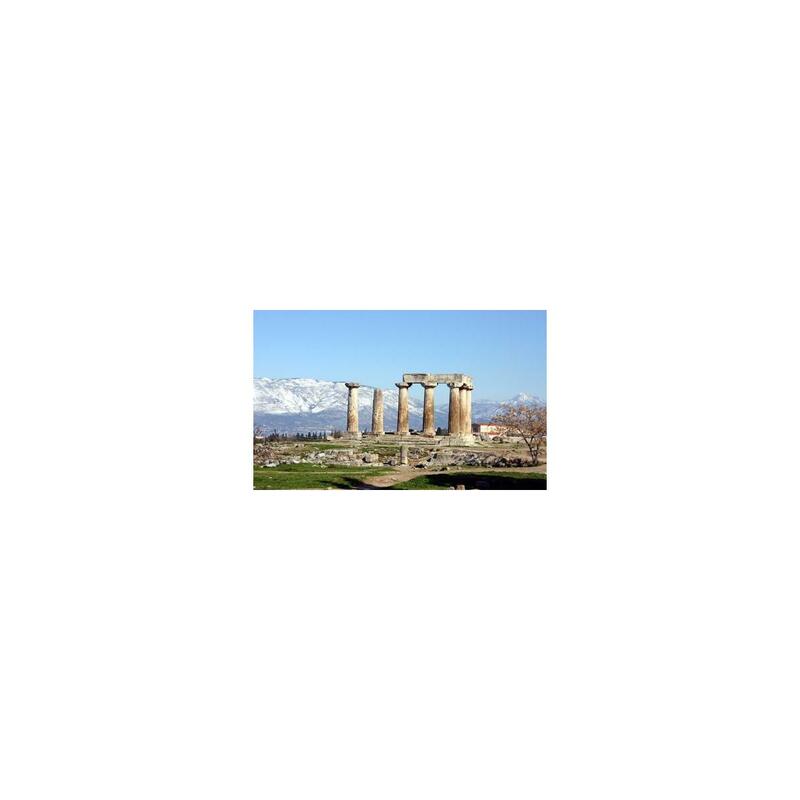 Ancient engineering wonder Corinth Canal, dividing the Peloponnese from mainland Greece. 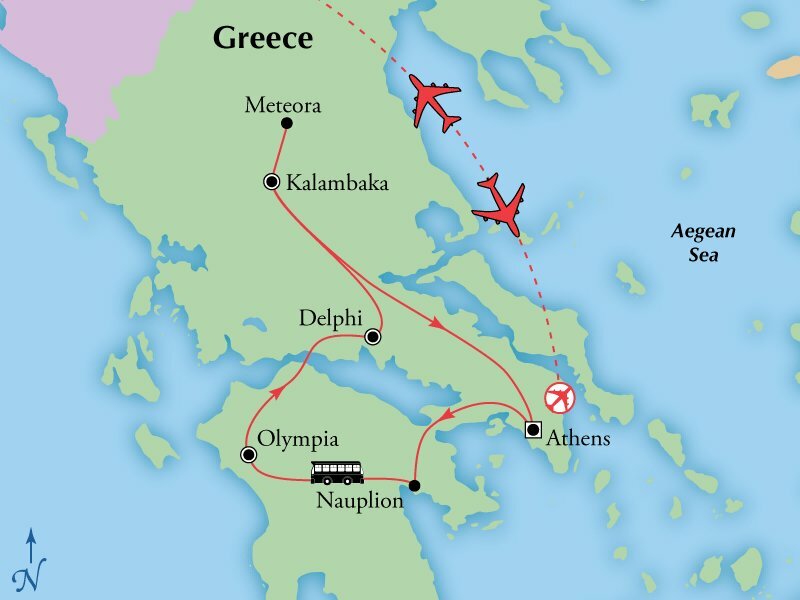 Continue via Nauplion to Mycenae, the heartland of Greek mythology, the Treasury of Atreus, and the Tomb of Agamemnon, and Sparta. Olympia, birthplace of the first Olympic Games. You can visit Meteora, meaning "suspended in the air", with its mystical Eastern Orthodox monasteries incredibly nestled perilously close to the edge of bizarre rock formations. Admire the exquisite specimens of Byzantine art and the panoramic vistas over the Peneios Valley.